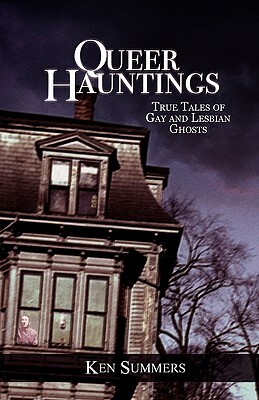 Queer Paranormal: True Tales of Gay and Lesbian Ghosts & Hauntings is an exclusive collection of eerie locales worldwide with a queer bent. This guidebook combines historical fact and unearthly encounters from across the United States, as well as around the globe. Behind the shadows and doors of societal homophobia hide find pink phantoms and lavender apparitions in cities and towns spread across the globe. From haunted bars in New Orleans to an old theater in London, this guide encompasses the other side of the supernatural. The stories range from the serious, from brutal murders in rural Georgia, to the light-hearted, including the male spirit who enjoys unzipping men's trousers at a British pub. Ghosts of legendary celebrities intermingle with ordinary individuals. Along with these queer spirits are many businesses, either gay-owned or catering to a gay/lesbian clientele, experiencing hauntings. Countless bed and breakfasts have otherworldly guests staying the night. Clubs and bars hide more than shy young lovers in their darkened corners. The dead ignore rainbow flags and techno beats. Their desire to be seen and heard outweighs their fear of the differences in their surroundings.